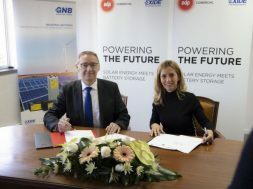 The agreement signed this week will see EDP deploy and run two PV installations powering Exide’s industrial units in Castanheira do Ribatejo and Azambuja, some 20 miles to the northeast of Lisbon. Exide will not only source electricity from the plants but also provide them with battery energy storage systems, which it will manufacture. Exide Technologies is headquartered in Milton, Georgia, not to be confused with India’s Exide Industries, which coincidentally also makes lead-acid batteries for a range of applications. According to EDP, the plants should be operational by Q1 2020 and will feature some combined 10,000 panels across a 20,000-square-meter site. 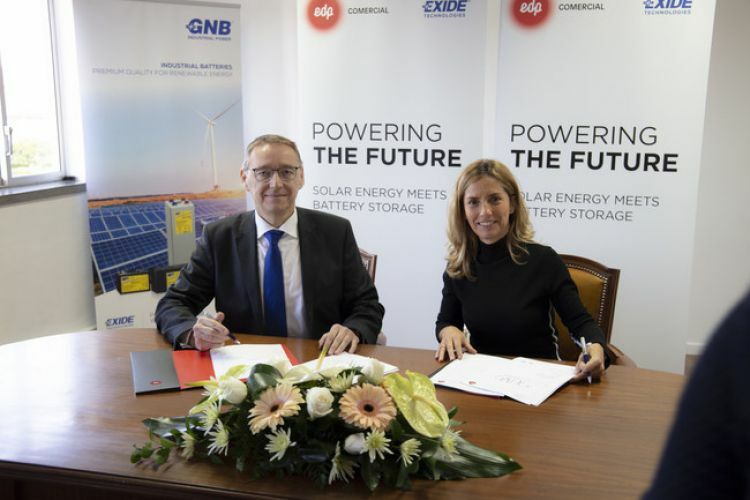 Together with the solar it will utilise 70 inverters and 500kWh of Exide Technologies’ Sonnenschein A600 valve-regulated lead acid industrial batteries with absorbent glass mat (AGM) fixed electrolytes. “More and more companies will rely on self-generated power backed by a BESS (battery energy storage system) in years to come, especially in energy-demanding sectors like manufacturing,” Exide Technologies’ president for the EMEA region Stefan Stübing said. The duo, EDP added, is designed to produce electricity equal to the needs of over 2,000 households. Excess power will be unloaded onto the grid in the summer and other low-consumption periods, the firm explained. The 3.8MW project emerges a month after the EDP said it would work to capture the “sizeable” PV opportunity in Portugal and elsewhere, revealing a goal to install a global 2GW by 2022. At the time, the energy giant said it would back its move into solar and wind by raising €6 billion (US$6.76 billion) in fresh cash, and riding the tailwinds created by policy events such as Portugal’s auctioning plans. Attendees of last month’s Large Scale Solar Europe summit in Lisbon, hosted by our publisher Solar Media, heard energy state secretary João Galamba outline the upcoming tenders: 1.35GW of PV in 2019, plus a 50-100MW storage auction in 2020. The reaction of solar players ranged from optimism about Portugal’s potential to doubts over the grid’s readiness for the auctioning of new capacity. During a panel discussion, Berto Martins, deputy director of energy markets at EDP, argued the country will need energy storage and smart grids to mitigate “imbalances” as renewables come online.